Prime Minister Narendra Modi is scheduled to interact with people, who have pledged their support to the 'Main Bhi Chowkidar' (I also am a watchman) campaign, from 500 places in the country on March 31. New Delhi: Prime Minister Narendra Modi on Wednesday will address over 25 lakh watchmen through audio bridge medium thus fuelling the ‘Main Bhi Chowkidar’ (I too am watchman) campaign. On the eve of ‘holi’ today, he will address these watchmen and share with them the festival of colours. The Prime Minister is also scheduled to interact with people who have pledged their support to the ‘Main bhi chowkidar’ (I too am a watchman) campaign, from 500 places in the country on March 31. 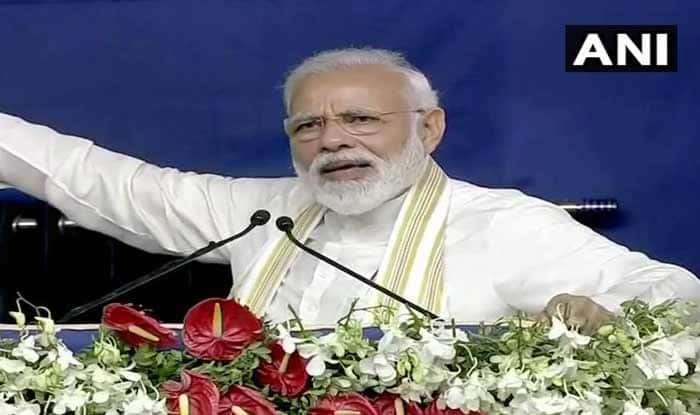 Bharatiya Janata Party (BJP) media head Rajya Sabha MP Anil Baluni said that PM Modi’s initiative is aimed at highlighting the work of a chowkidar. He added that it was an important step for improving the lot of the last man in line with the BJP’s credo of ‘Sabka Saath Sabka Vikas’. Noting that watchmen work round-the-clock without taking any leave, the BJP media head said that the initiative will resonate with the masses as people from different walks of life have lent their support to the campaign. Union Minister Ravi Shankar Prasad said that the ‘Main Bhi Chowkidar’ movement had become a “people’s movement” and taken social media by storm with the hashtag being tweeted 20 lakh times and having 1,680 crore impressions. On Tuesday, PM Modi shared a series of tweets of random people across the country who have pledged to join the movement. Twitter was abuzz with #MainBhiChowkidar trend that started on March 16 after Prime Minister Narendra Modi’s official Twitter handle posted a video and a message, declaring that every person who stands against injustice, falsehood and corruption is a ‘Chowkidar’ like the Prime Minister himself.